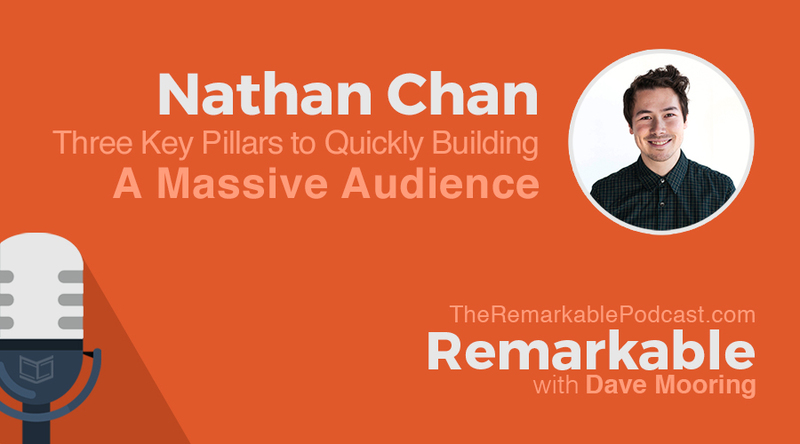 In this episode of Remarkable, I have a chat with Nathan Chan, a young Australian entrepreneur who built a mini media empire in less than three years. 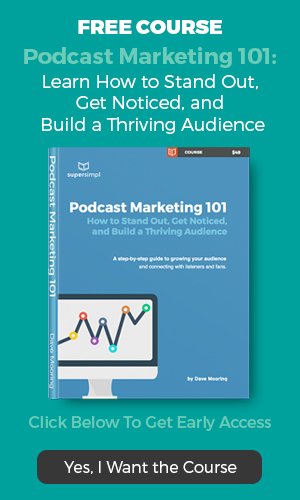 He’s the founder, editor in chief, and publisher of Foundr Magazine, a digital magazine for entrepreneurs, a podcaster, and a marketing expert who has mastered Instagram to amass a following of over 500,000. Nathan has an impressive list of interviews that includes Sir Richard Branson, Tony Robbins, Daymond John, Deepak Chopra, and Arianna Huffington, to name a few. The following list of the links, podcasts, and resources mentioned in this episode of Remarkable. 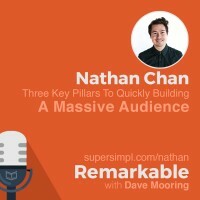 Read or download the full transcript of this episode: Three Key Pillars to Quickly Building a Massive Audience. Hey, thanks so much for stopping by and for listening! How’d you enjoy the show? I’d love to hear your feedback. You can leave me a comment below! If you enjoyed this episode and think you know someone else who’ll enjoy it, please share it – I’ve made it easy, just click on your favorite social media button and spread the word. Also, just like on Amazon, user reviews let people know if the show is worth listening to or not. So if you don’t mind, head over to iTunes and leave me an honest review. I would greatly appreciate it and I do take time to read each one! And while you’re there, don’t forget to subscribe to the show so you’ll get automatic updates when I release future episodes. That’s all for now, go be Remarkable!